has partnered with non-profit organizations nationwide to raise more than $28 million for their ongoing charitable efforts. The Salvation Army of Palm Beach County, by purchasing a $5.00 Shopping Pass for exclusive savings and special offers in every Macy's store on Saturday, October 17th. As a participating charity, The Salvation Army, gets 100% of the proceeds from the sale of each pass. As a "shopping pass" holder - you not only receive savings on this day but you are also eligible to sign up for a $500.00 Macy's gift card. 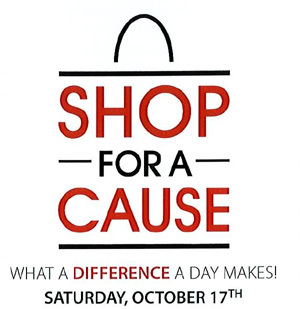 Come together with Macy's and The Salvation Army of Palm Beach County, to enjoy a day of shopping with great savings and helping your local community at the same time. For more information or to purchase your shopping pass contact Tara Bennett at The Salvation Army Area Command @ 561-686-3530 x 331.